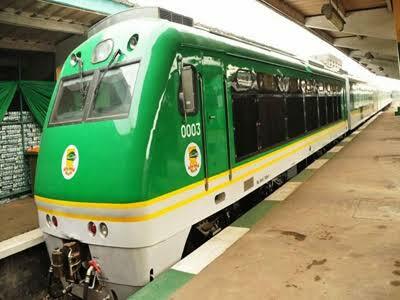 The Nigerian Railway Corporation (NRC) says residents of Abeokuta in Ogun State can work in Lagos after the completion of the new standard gauge rail line. The Lagos Railway District Manager (RDM), Jerry Oche, said this in an interview with News Agency of Nigeria (NAN) on Tuesday in Lagos. Mr Oche said the nearly completed Lagos-Ibadan standard gauge would open lots of opportunities for various communities within the railway corridors. According to him, the standard gauge when completed will travel at 150 kilometre per hour and Lagos-Ibadan is a 156km journey through the standard gauge. The district manager said the infrastructure would also bring vast job opportunities and social advantages to the youth, the populace and to the states. “The perishable goods at the various communities will now be easily transported to the city where the demands are higher, thereby reducing the cost of goods and services,’’ Mr Oche said. NAN reports that Fidet Okhiria, the NRC Managing Director, had said it would test run the Lagos-Ibadan standard gauge line early in February. Mr Okhiria, who disclosed this on January 23, at Ijoko in Ogun State, while inspecting the project, added that work on the tracks was moving toward Lagos with 1.5 kilometers being laid daily.